We all know the story of the 2017 Yankees: a team that was supposed to be rebuilding that came within one game of going to the World Series. Now, the man that helped get them that far is gone and there is no clear replacement in sight. When the Yankees fired Joe Girardi today, they took a giant leap into uncertainty while on the brink of greatness. How often do you see a young team overachieve only to immediately fire their manager? It doesn't happen because young players need that stability to continue their development. The Girardi detractors will argue against his in-game management. They will reference the missed challenge in Game 2 of the ALDS (a series which the Yankees won) or how he over-uses his bullpen (the Yankees had the third-best bullpen in the Majors in 2017). The most far-reaching argument will be that the Yankees fired Buck Showalter after a winning season in 1995 and brought in Joe Torre. To that argument, my question is this: do the Steinbrenner's really think the next Joe Torre is sitting around at home right now waiting for their phone call? Dusty Baker was fired by the Nationals after leading that team to their second division title in a row. Is a 68-year-old the answer to lead a young core of players? Al Pedrique managed many of the team's current players on the Scranton RailRiders. Do the Yankees want to put the future of this possible dynasty in the hands of a guy who has never managed at the Major League level? One of the trendiest rumors going around the Twitter-verse is Alex Rodriguez. Could you imagine? The Yankees were not supposed to play in Game 7 of the ALCS in 2017. They weren't supposed to eliminate a team that had 102 wins in the regular season. Aaron Judge was not supposed to hit 52 home runs and CC Sabathia was not supposed to have a resurgent season. Yet all of those things happened on Girardi's watch. What else could he have possibly done to keep his job? 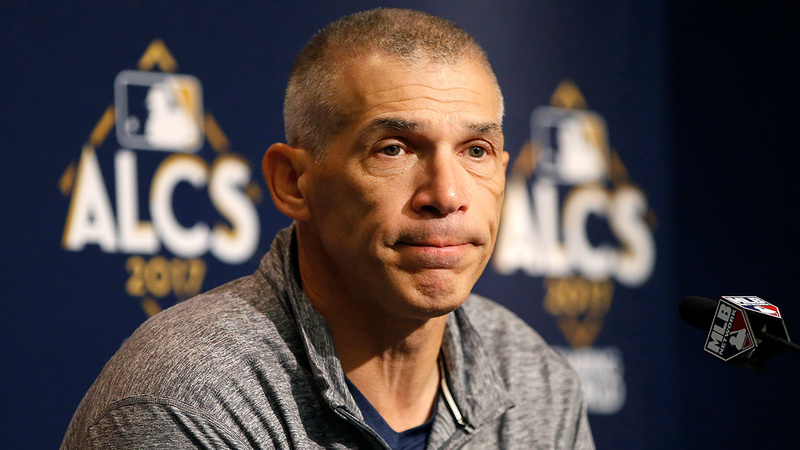 Firing Joe Girardi left more questions than answers for the Bronx Bombers. Hopefully, they already have a replacement in mind, otherwise ownership has put this team's bright future in doubt.